Bodyguard T560X Treadmill is the most advanced treadmill that sets a new standard in ergonomics and technology. With "imagine" compatibility clients can connect an iPad for a truly unique training experience. It's never been easier to simulate outdoor training components such as downhill running, realistic hill climbs and high acceleration workouts while maintaining a running track feel. *Note: Most of the sites, stores or shopping portals listed above sell Bodyguard T560X Treadmill with discounts and other exciting offers. There is a possibility that the some of above websites are not selling Bodyguard T560X Treadmill now. Toughtrain.com is not liable for such cases or instances. 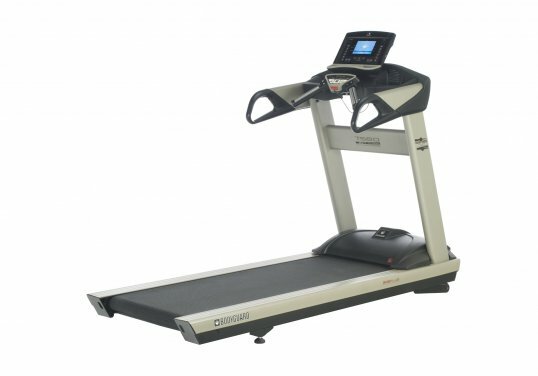 Also we do not recommend any seller for Bodyguard T560X Treadmill and a buyer should buy from where he/she gets best deal with quality of products, service and on time delivery (shipment).